From 1952 onwards, some Congolese were able to obtain equal footing, on paper at least, with white people via their registration card. In order to receive the card, one had to undergo a humiliating inspection in which an inspector could pass on any given moment to check if the candidate lived 'in a civilised manner'. "If he is registered, he could stay at a hotel; otherwise we would be obliged to host him in one of our guesthouses and authorise him to have meals at our mess, which might lead to complications". 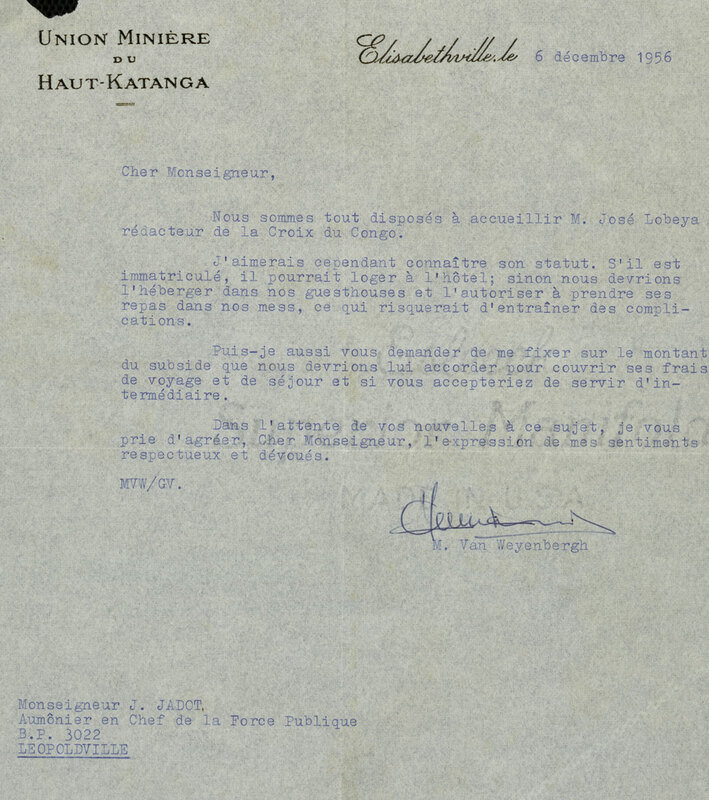 Received letter, 1956. NAB, Archives Jean Jadot, portefeuille 1.